You think you can create a superhero better than the ones you watch on TV? Sure you can! 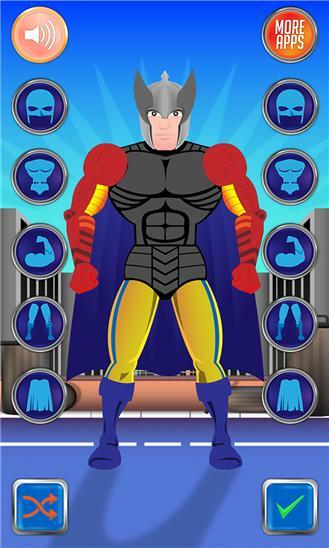 Make your own superhero character and share your creativity with friends and family. Who knows, your superhero might become as popular as Superman, Hulk or any of the characters you love. Download now and share your imagination! Everybody wants to save the world from the villains as Ironman or Captain America. Stand out from the crowd and create a hero of your own – let the villains know that there is a new guy in town to be afraid of. This game will trigger your imagination and take you to the world of yet undiscovered superheroes where you will have the honor of the first pick. You are the creator of your new favorite character – choose the color of the costume, make an awesome cape and shape an intriguing mask. After you have created your magnificent superhero, think hard and try to find an appropriate name for him. Share your new invention with your Facebook friends. Discuss with them whose new superhero is more awesome and make your own League of Superheroes who will fight against the evil together. 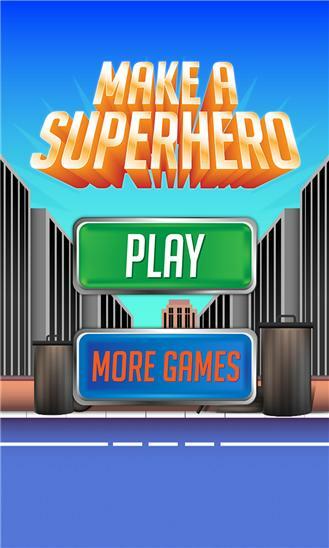 This amazing game will enable you to have a superhero nobody else has! Dare be different, challenge your imagination and MAKE YOUR OWN SUPERHERO. Legal Info: This game is an intellectual property of PEAKSEL D.O.O. – copyright 2014. - Minor bugs fixed - Thank you for your suggestions and support!